These are a couple of summer wallets I just finished. They work really well to hold your cash, cards, lip balm, etc. if you’re going to the beach and don’t want to grab your regular big wallet. Plus, they are so cute you could totally forego a purse altogether and sport one of these instead! I used Peaches & Cream 100% cotton worsted weight yarn so they are pretty study and can be machine washed. Again, as you can see from my last post as well, i’m really into buttons right now. I just can’t seem to use enough of them! Cute! The top one is my favorite. I LOVE LOVE LOVE the embroidery and buttons on the top one! Too cute. Very nice, I love them both. The colors are definately very summery! on June 30, 2008 at 2:47 pm Paula N.
These are very cute! Is the pattern a freebie? And even if not, would you let us know where you found it? They are darling! Totally made up the pattern. It’s just basically a block of herringbone half double crochets that i folded in thirds and lined with those nifty quarter-flats you can get at JoAnns Crafts. I eventually figured out that actually crocheting a button hole into the block is a whole lot easier than “forcing” my button through and then faking the button hole look by hand stiching around my big fake hole (i only did that on the top picture – i used pure force with the bottom picture). 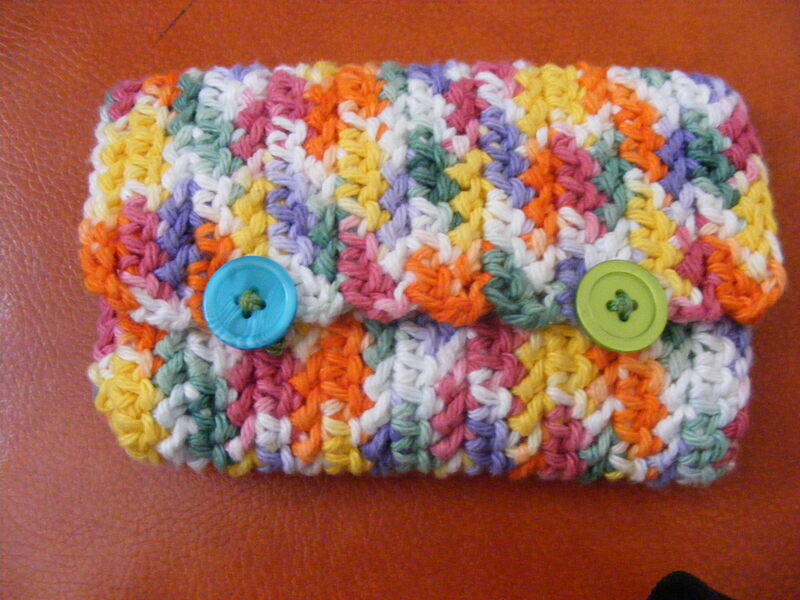 on July 1, 2008 at 10:51 pm Paula N.
I had never heard of herringbone half double crochet! I had to look it up. 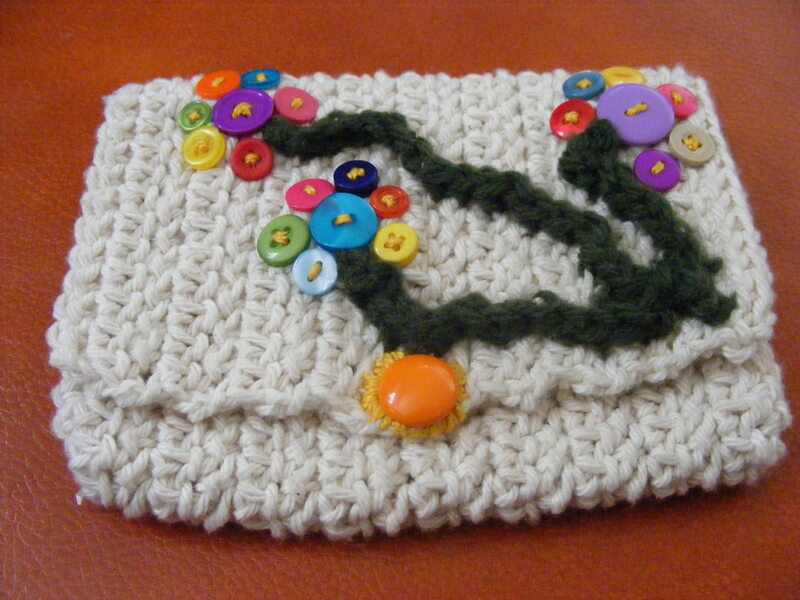 I’ve crocheted for, gadzooks, 30 years maybe? Too funny the things you learn on the internet! I guess I will have to get busy and experiment and see if I can make myself a wallet! Thanks for the info!